There is no secret that Magento is the most popular eCommerce CMS in the world. But when you decide to work with Magento (taking into account that you are already familiar with PHP, Javasript, MySQL) and download its archive, you could be frustrated when you see all these hundreds of folders and thousands of files. A few years ago there was a very limited amount of information provided by Magento itself. In my opinion, this fact and complexity of the platform lead to the situation that even if you want to do everything right, it’s hard to say which way is the right one. But time has changed and there are a lot of good sources developed by Magento and its eco-system. 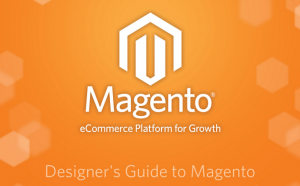 As for me, the best start point to explore Magento is the Official User Guide. Recently you had to purchase it but now it’s absolutely free and updated for Magento 1.7. Written for administrators and store owners, these 226 pages will introduce you about installation process, products and categories creation, managing customers, orders, payment options etc. Approximately 40 hours of brilliant videos. “Students will leave the course understanding the Magento architecture, MVC and data models, how to work with Magento modules, and how to customize and extend Magento to ensure the best upgrade path for the websites they extend”. In other words, this is Titanik or Avatar of the Magento world. 80 pages on how-to create a custom extension from scratch step-by-step. Will show you module’s files and folders’ structure, config files, controllers, models, blocks; so as @IvanChepurnyi wrote (former Magento core developer) “Ext devs definitely should read this before writing the 1st code line”. 60 pages on how-to organize and create your own themes, packages according to best practices. Concepts introduced to you will be helpful for both front-end and back-end developers. Everything you should know about Layouts in Magento is here for $25. I read almost all the published books about Magento but in my opinion only this one is a must-read. About 50 articles that cover a lot of topics, written in Alan Storm’s style – very detailed and carefully. Aim of this kit is to help you to prepare for certification exam, but it could help enrich your knowledge about the platform. There is a set of excercises on different topics (all answers code provided and developed by Vinai Kopp according to the best practices). Price is 49.50 and it’s worth every penny. In 90% cases, after googling any Magento-related problem (not too specific) you will end up on one of these resources. This forum is like a central city market with all the crowds and possibility to find anything. A great place for self-education for everybody, from ones who have no clue about anything Magento related to development gurus. Magento enthusiasts share tips, tricks and support here. All in all, there are a lot of Magento blogs on the internet. This variety helps new coming developers feel at home with a friendly Magento family. It’s good to have a lot of free extensions on Magento connect and GitHub. You can download the most popular ones from the best extension providers/developers and analyze what’s done and why, try to edit or improve them. The exact page I have been looking for. Thanks very much Sergei Guk and keep it up.